Children under the age of 13 (“Child or Children”) are not permitted to communicate electronically with ERC. 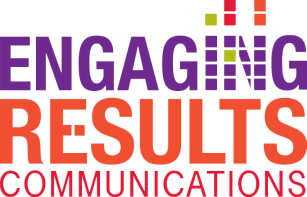 Engaging Results Communications, LLC does not knowingly collect information from any Children under the age of 13, and all children under the age of 13 are hereby notified that they are not permitted to post any personal information on the Website or through Mobile communication. If a Child does submit personal information and ERC becomes aware of it, the information will be permanently deleted ceasing all communication with the Child. Parents are encouraged to alert ERC to any participation by a Child. In said case, ERC will use due diligence to confirm reported incident and act as described in this paragraph. Users of ERC services are comprised of anyone that has accessed or requested communication from ERC. Most commonly this will be through the avenues of its websites or mobile text clubs, but is not limited to such communication. ERC does not charge monetary fees for use of its services by the Users. It does however generate revenue from the sender of such communication. This is most commonly referred to as advertising fees. While ERC promotes that the services are free to Users, it does not control any fees charged by companies for delivery of such communications other than ERC. It is recommended that Users refer to their mobile carrier or web service provider agreements for fees that may be incurred. Standard carrier message and data rates may apply. Text STOP to end. Text HELP for help. The User may cease communication with ERC at any time by writing to PO Box 386 Sun Prairie, WI 53590 or by texting “STOP” to 30364 from the mobile phone(s) in which they communicate with ERC. User is ultimately responsible for verifying terms of offers with the offer provider. ERC relays the third party information but does not warranty or guarantee the terms of offers or communications provided by the third party. We collect personal information when you register to request information about our inbound marketing services, buy one or more products, schedule an event or otherwise voluntarily provide such information. ​ Website. We will not share or sell your information to any third-party. We use that data to create mailing lists and complete projects that require the specific information you provide.